We offer the best deals for Sapa Tours, Sapa Tour Packages, Sapa Travel Packages. Read reviews and book with us. You will get picked up at your hotel and then transfer to Hanoi Railway station for your night train journey from Vietnam`s capital city to the border town of Lao Cai. Bac Ha Market is in Lao Cai Province, 80km from Sapa town and 1hour from there by car. 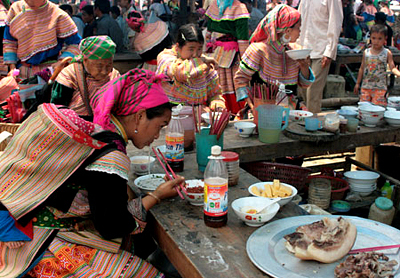 Bac Ha is the biggest market in the region and open on Sunday only.